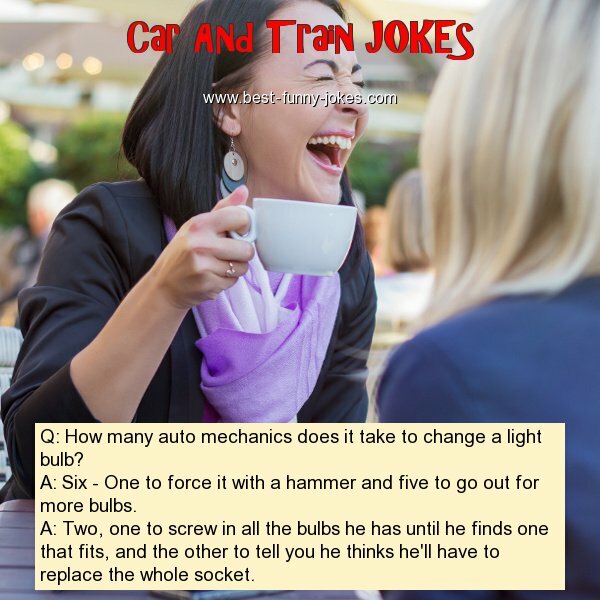 Q: How many auto mechanics does it take to change a light bulb? A: Six - One to force it with a hammer and five to go out for more bulbs. A: Two, one to screw in all the bulbs he has until he finds one that fits, and the other to tell you he thinks he'll have to replace the whole socket.